Houston Heights - W. 20th St.
1 home left at $519,900! 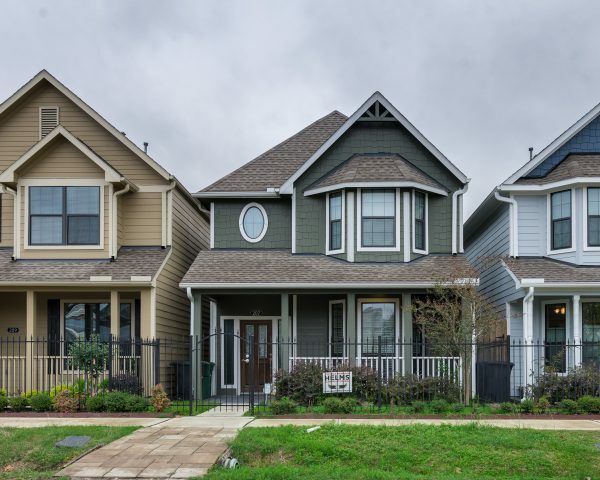 Sandcastle Homes is proud to offer home buyers spacious new homes in Houston TX homes at Houston Heights on West 20th St. The traditional Gibraltar floorplan has it all. Once you enter this home through the inviting porch, there is a very open and spacious formal living and dining room that is separate from the kitchen and family room. The luxurious corner kitchen overlooks the family room. The Master suite is opposite from the two secondary bedrooms on the second floor. The Gibraltar is a specialty plan because it requires a lot with alley access to its two-story detached 2-car garage. You will have the option to finish out the garage’s second level or just leave it as additional storage space. Contact Mike Taylor at 281.543.6360 today to inquire about available new homes in Houston TX homes at Houston Heights on West 20th St.